If you’ve arrived at this site, chances are you are seeking a breakthrough in some area of your personal life or professional life – or both. You may not even know exactly what that looks like. You just know that certain things in your life, in their current form, are either not fulfilling you – or are ‘breaking down’. You may have tried many approaches, but none has given you the kind of lasting positive change you are seeking. Or perhaps you’ve achieved your goals, arrived at the top of the ladder – and can’t see your next step? Are you ready to break through the invisible barriers between where you are and where you’d prefer to be? To be the best version of yourself? Invest in your best Self. 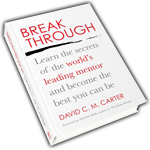 Discover how BreakingThrough can benefit you with a free exploratory chat. Call +61 411 543 733 or email now. What gets in the way of you being your best? This iframe contains the logic required to handle Ajax powered Gravity Forms. Remember to check your email for your BONUS GIFT. You will also receive an opt-in email for my InSpirall Newsletter. Please confirm if you are happy to hear from me occasionally.